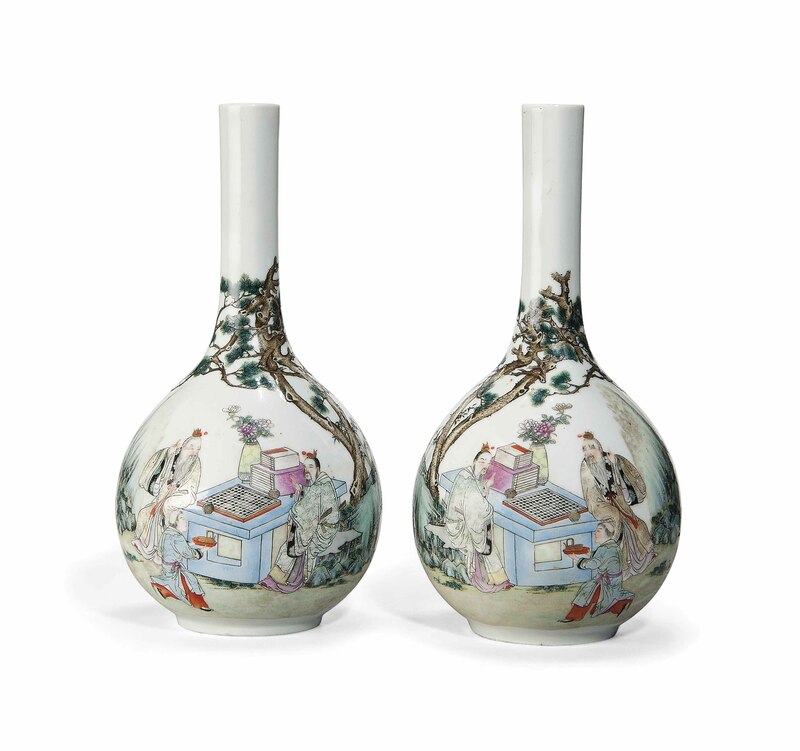 Each vase is decorated in mirror image with two scholars playing go and an attendant serving a drink. They are seated at a table below a pine tree in a mountainous landscape. The base has an apocryphal Qianlong iron red six-character seal mark.